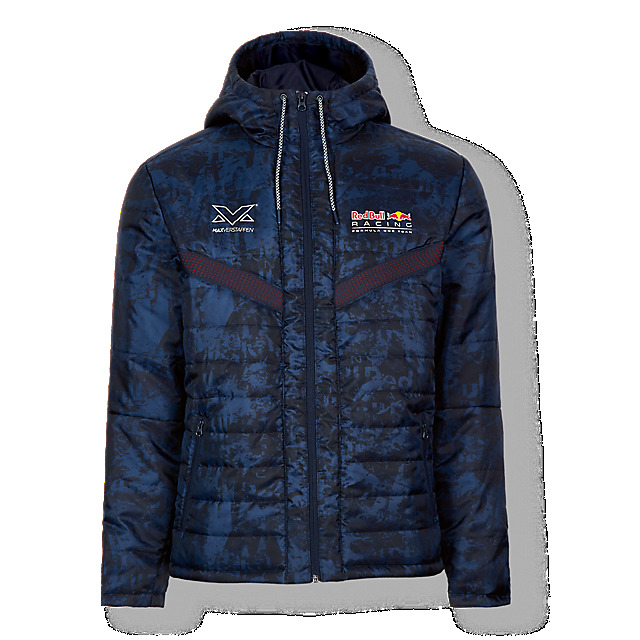 Keep your cool when the heat is on but snuggle up when the sun goes down with the Max Verstappen padded jacket. 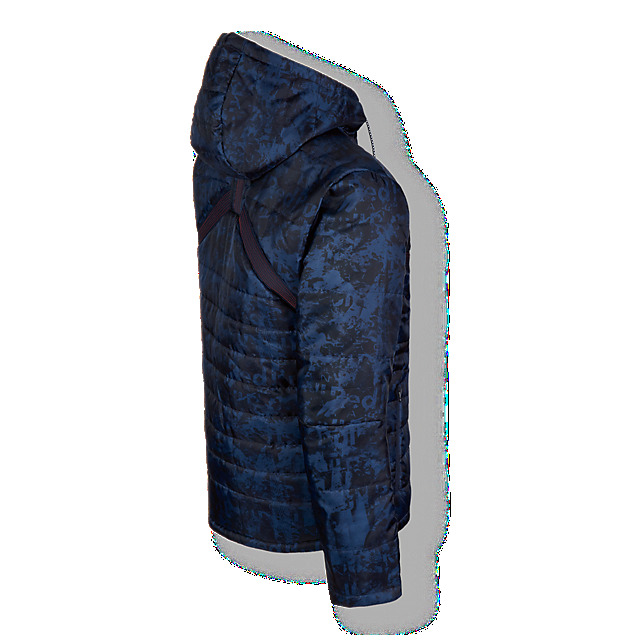 Inspired by driving, the jacket features vents that adapt to your movement in order to ensure you cool down or warm up depending on need, thus maintaining optimum body temperature without losing momentum. 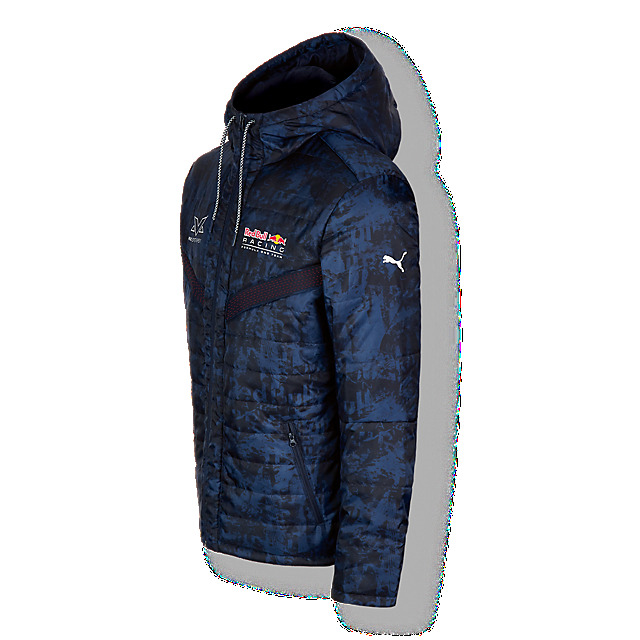 Designed in fresh navy camouflage all over, this smart jacket features Max's logo and the Red Bull Racing logo on the front, together with a PUMA logo on the sleeve. 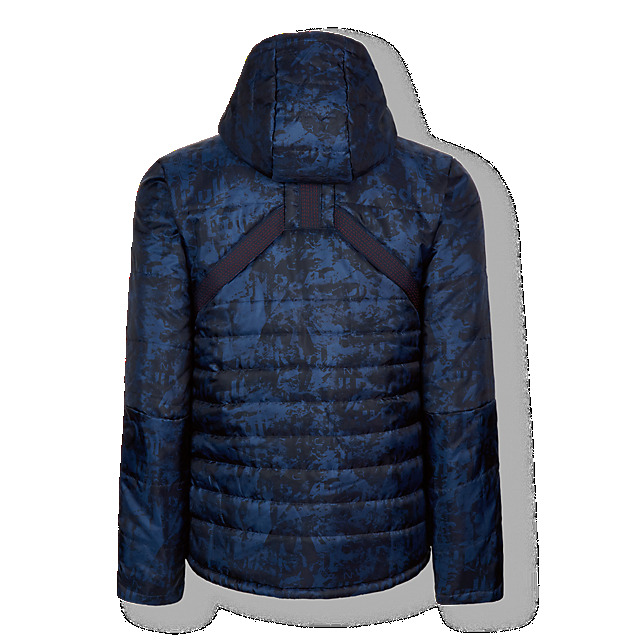 Meanwhile, a cosy hood and two zipped, fleece-lined pockets will keep the chill at bay.